China is furious as India refuses to cow down to incessant pressure regarding the Dalai Lama. Unilateral mindless action is following. Border Disputes : India now faces territorial issues with three of its neighbors – China, Pakistan and Nepal. India has resolved its border disputes with Bangladesh and Sri Lanka and an un-demarcated border with Bhutan. 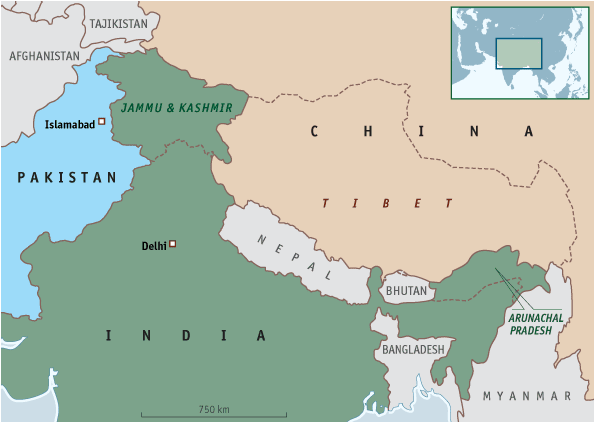 Sovereignty over two large and various smaller separated pieces of territory have been contested between China and India. Aksai Chin : Aksai Chin is a disputed region located in the northwestern part of the Tibetan Plateau and immediately south of the western Kunlun Mountains. The Depsang Plains are located on the border of the Indian state of Jammu and Kashmir and the disputed zone of Aksai Chin. The Chinese Army occupied most of the plains during its 1962 war with India; however, the Chinese retreated. The dispute was resolved in 2013. A long LAC : The India-China border dispute covers the 3,488 km-long Line of Actual Control (LAC). The two sides have so far held 19 rounds of talks with Special Representatives to resolve the boundary dispute. 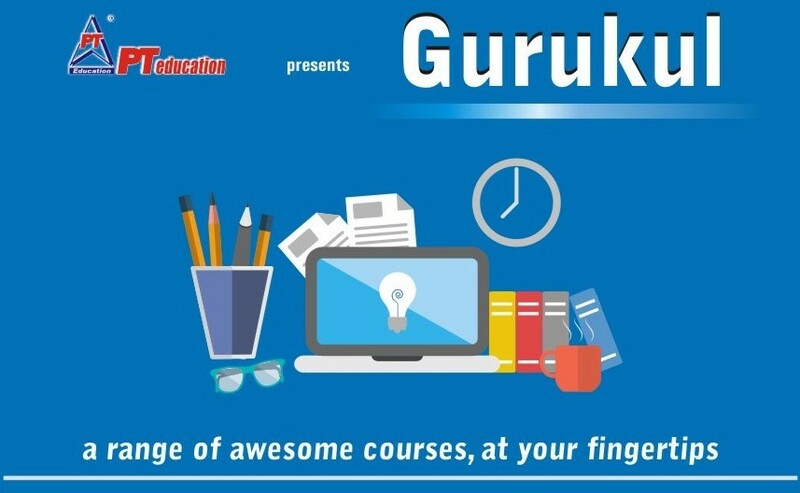 Arunachal Pradesh : Arunachal Pradesh is a state of India, located in the far northeast. 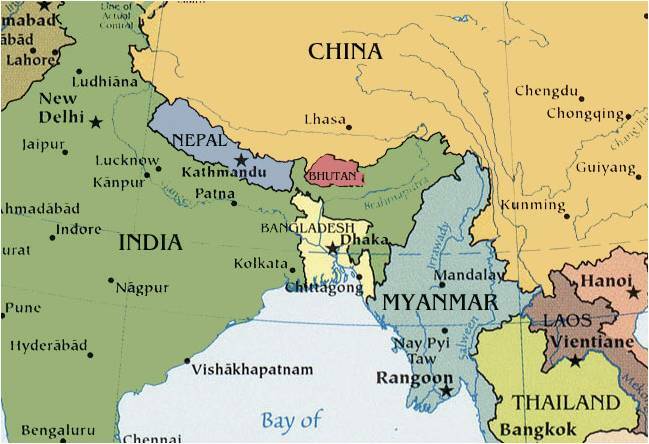 It shares international borders with Burma in the east, Bhutan in the west, and the China in the north. The majority of the territory is claimed by China as part of South Tibet. The northern border of Arunachal Pradesh reflects the McMahon Line, a 1914 treaty between the United Kingdom and the Tibetan government which was never accepted by the Chinese government and not broadly enforced by the Indian government until 1950. This territory is administered by India. China says no : In 1987, India announced that it was officially designating the region as ‘Arunachal Pradesh’ but the Chinese government has never recognized India’s occupation of the region, or the legitimacy of the province. 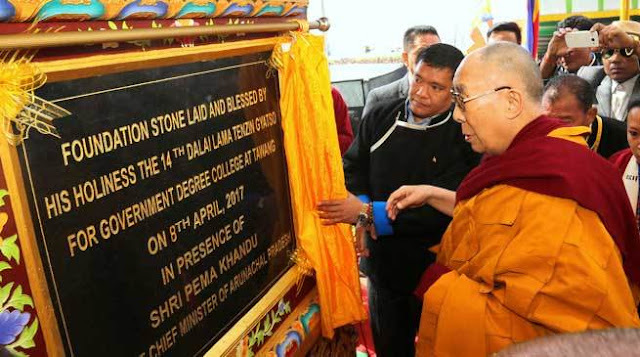 I will decide what is right for the world : Now China has, for the first time, unilaterally renamed six places in Arunachal Pradesh in standard Chinese in what appears to be the first sign of retaliation against the 14th Dalai Lama’s visit to India’s easternmost state earlier this month. China warned India of consequences for allowing the Tibetan spiritual leader to visit the ‘disputed area’. Angry with the Dalai Lama : According to India, this is not the first time that the Dalai Lama has visited the state. He made official trips there in 1983, 1997, twice in 2003 and in 2009. According to Chinese state media, the names were changed to show India the “sovereignty” of the region. China’s dispute over Arunachal Pradesh with India has become more complicated. The country is not free, yet it preaches everyone else! Note : India's borders are wrongly shown in this map.